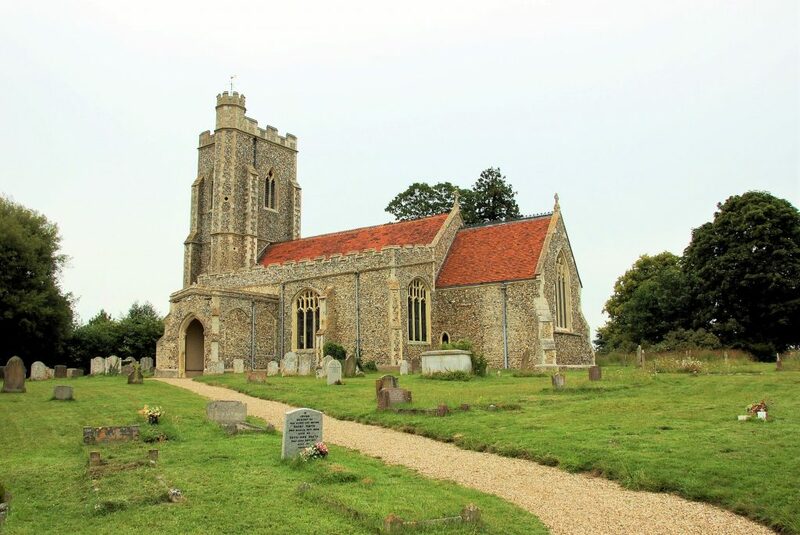 The Church of St Edmund, King and Martyr in Assington is a small friendly Church, which is part of the Benefice which comprises the churches of Bures St Mary’s, Little Cornard and Assington. The church is open every weekend during the daytime. Should you wish to gain access on a week day, please contact one of the churchwardens who can make arrangements for it to be unlocked for you. There is vehicular access to the churchyard on any day of the week during daylight hours. Morning services are held at Assington Church most Sundays at 10:30. Services are led by different members of the ministry team from across the Benefice and are always informal and welcoming. Generally, Holy Communion is celebrated in Assington on the second Sunday of each month with Morning Prayer on the fourth Sunday of each month. On the third Sunday of each month, there is a family service with activities for children, followed by refreshments and an opportunity to socialise! Major celebrations such as Harvest Festival and Christingle are planned to coincide with these dates where possible. There are also a number of special Church events / services throughout the year including a summer fete, harvest supper and carols by candlelight. There is no service in Assington on the first Sunday of each month when a Joint Benefice Communion Service is held at St Mary’s, Bures. In any month when there is a fifth Sunday a Joint Benefice Communion Service is held alternately at Assington or Little Cornard. We have an active Parochial Church Council which works hard to ensure that the Church is a central part of village life and that the historic building and surroundings are well maintained. The Church is a beautiful Grade 1 listed building dating from the early 1400’s set in idyllic countryside, surrounded by the lands of Assington Hall. However, a Church was first recorded on the site in the Domesday Book of 1086. The current Church was owned for over 300 years by the Gurdon family who also owned most of the village and farms, until the estate was sold in 1938. The Church tower, which was renovated in 1863, has gothic arched windows, angled buttresses and battlements. It has an octagonal corner staircase turret which is entered from outside the Church. The main part of the Church also has battlements around the top on the outside and the roof is covered in clay peg tiles. The windows are perpendicular gothic. Internally, it has a wooden roof of braced cambered beams with crown posts, supported by stone bosses of angels and roses. There are rows of wooden Victorian pine pews and Victorian brass candle holders on stands placed alternately at the ends of pew rows. The north vestry (which is entered via the door next to the organ) was added in 1860. The Chancel (the area of the Church leading to the altar) is recorded as having been falling down in 1827. It was rebuilt at a cost of £3,000 but we understand it took until 1868 for the final bill to be paid for this! At one stage, there were six bells in the Church tower dating from the mid 14th century to the mid 17th century. The Great Bell (Gabriel) was reported to have been fixed in 1784. However, it appears from recent inspections that the current bells were all cast in 1890 by John Warner and Sons, London. The Churchyard contains, among many family graves, a large monument to the Gurdon family as well as a memorial to the only World War 1 soldier brought home to Assington. The Churchyard is also a haven for plants and wildlife. During a study undertaken in 1993, a total of 101 different wild flower varieties were recorded in the Churchyard! Thank you for taking the time to read this information about us and our lovely Church – please do come along to join us for one of our services or events, you are guaranteed a warm welcome!